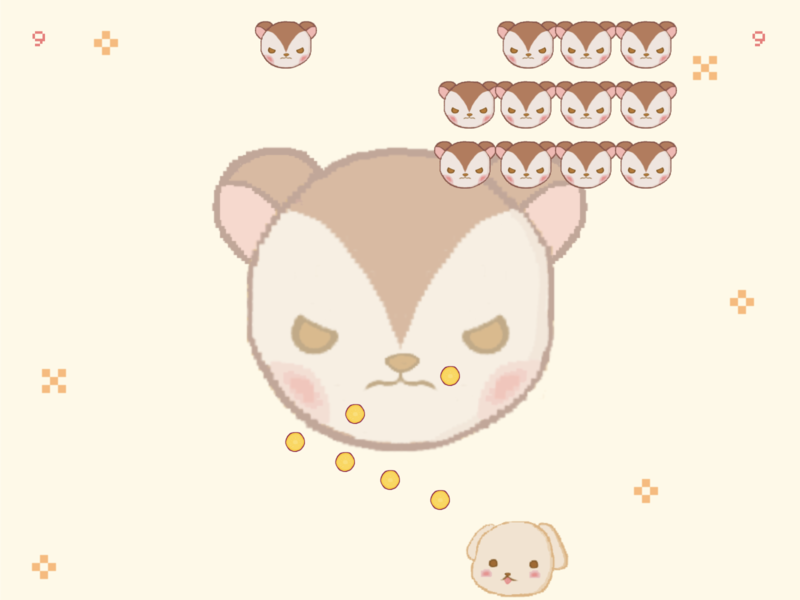 A “Space Invaders” style game I created using p5.js. 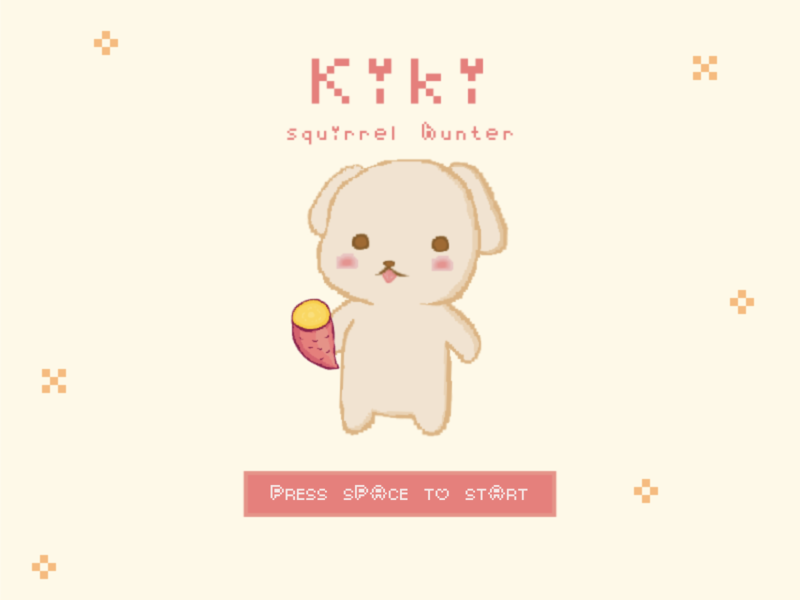 This game was inspired by my shih-tzu, Kiki. Kiki loves to chase squirrels and her favorite treats to eat are sweet potatoes. Kiki attacks squirrels with slices of sweet potato. 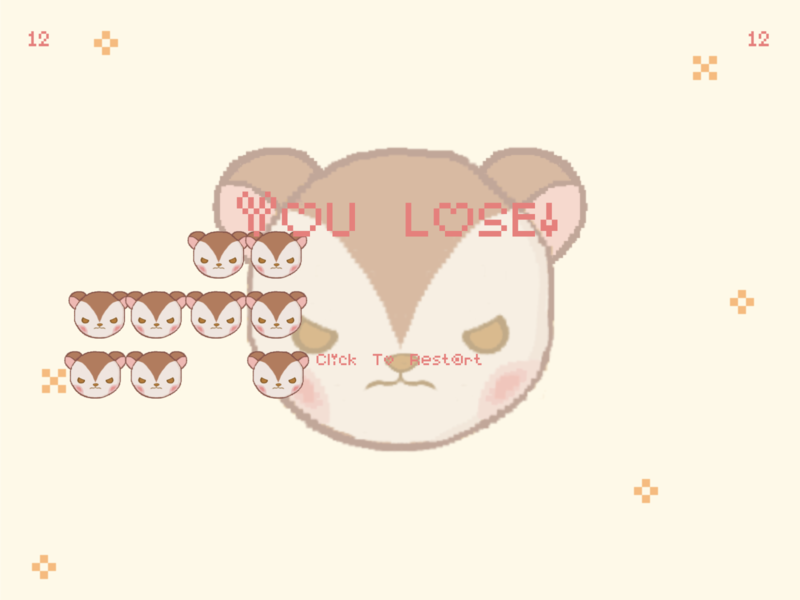 The “You Lose” screen that displays if you have not defeated the squirrels. 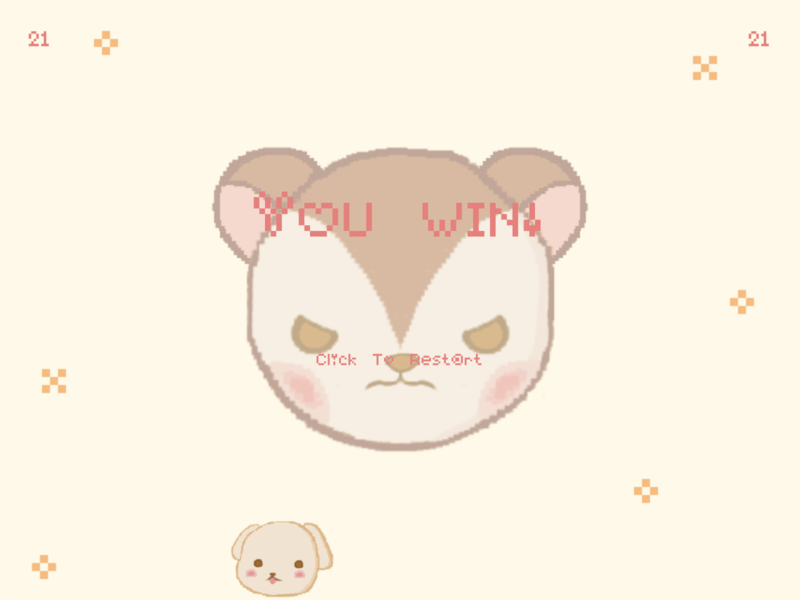 The “You Win” screen that displays if you have defeated the squirrels.